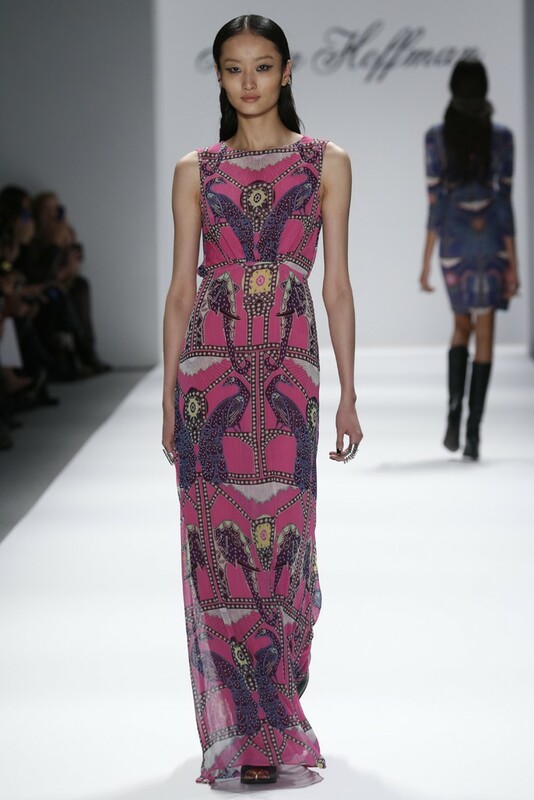 nikkistyle™: Mara Hoffman FW13 + Pamela Love = A GREAT COLLABORATION! Style Notes! Mara Hoffman ripped the runway during New York Fashion Week, debuting her Fall 2013 collection. I'm an avid follower of Mara Hoffman designs, as I love (yes, love) the signature free-flowing earthy vibe. I immediately connect with my inner spirituality as I obsess over the new arrivals, clothing—and the swimsuits are fab as well. Going back to the Mara Hoffman runway show (2/9), jewelry by Pamela Love was spotted on the MH models, which was an O-M-G moment for me. Seriously? My favorite designers working together? Now that's hot; the presentation oozed with vibrant colors, prints, very cool accessories, and total inspiration.